1. 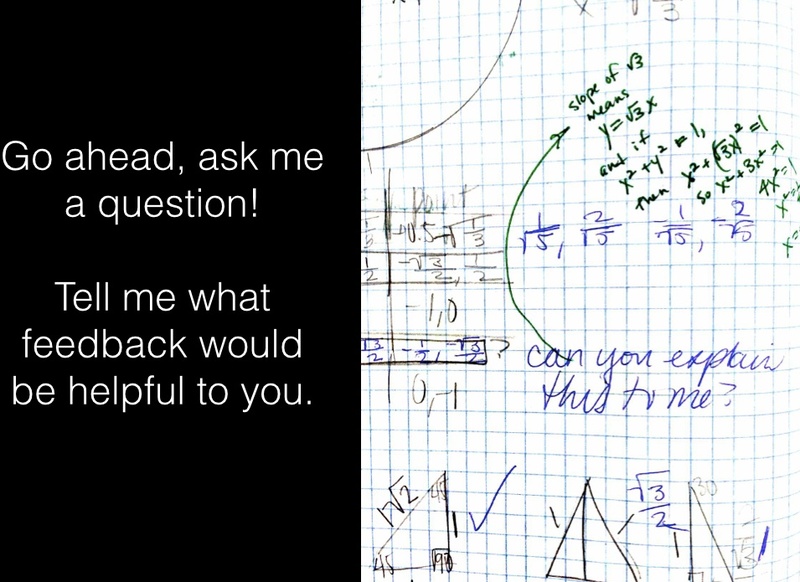 Every homework assignment comes with a full solution (not just answer) guide. It’s more work for me, but also makes me assign a reasonable amount of homework. 2. Students go through the assignment and do whatever they can without the solution guide. 3. Then they check the solution guide to check what they did and finish what they couldn’t. Anything they write after this point (or using the solution guide) is in a different color – which is a crucial point. They check their answers, fill in the rest of incomplete solutions and give themselves feedback on what they did well and what they did poorly. Where students struggled and what they still don’t understand well, which is so obvious with the colored pen. What they did in pencil is their work and what they did in pen is their work with the solution guide. 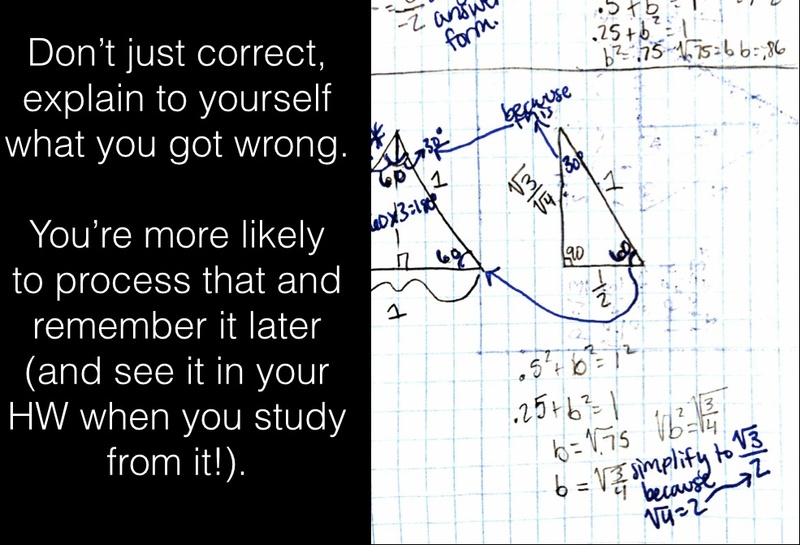 Evidence of learning – instead of doing something wrong over and over, they correct it and do it better the second time around, or at least know that what they did is wrong and need to get help from me. Where to give them feedback on the specific things that they are struggling on. Who is engaging with the homework and trying to learn from it, vs. who is just tryna get-r-done. 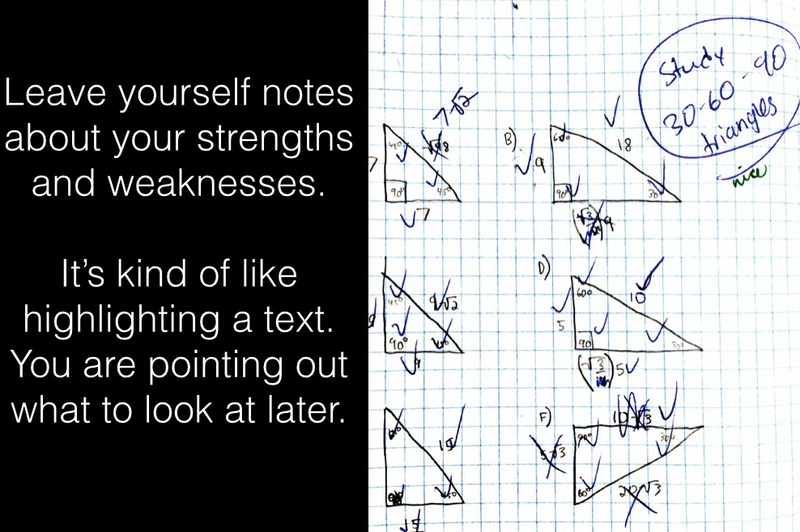 I also spend less time grading homework while still giving better quality feedback. I think they spend about the same amount of time doing homework but get more out of it. Feedback from students has been that they almost either really like it, or are fine doing it. They almost all indicate that it’s better for learning, which is what I care about. How do you feel about the method of doing homework where you check your own answers? It allows you to learn the right way of doing it while it’s still fresh in your mind. I like understanding what I did wrong right after I did it so that I can grasp what I did wrong. Being able to look at the answer and find what I did wrong at my own pace helps me understand the problem and how I should do it next time. Writing my own feedback is more helpful than skimming any you would give on homework. I feel as though that making corrections and not totally understanding my mistakes is perhaps the biggest downfall. maybe if i came back after a longer period of time it would be more helpful to me in particular. I understand that it’s good to correct ourselves but I think I get more out of simply going up to you to clarify he things I’m struggling with. Well it is helpful some of the time but it does take a really long time to do this. Still experimenting! Would love some thoughts.